Finland officially the Republic of Finland (Finnish: Suomi; Swedish: Finland) is a Nordic country situated in the Fennoscandian region of northern Europe. It borders Sweden on the west, Russia on the east, and Finland on the north, while Estonia lies to its south across the Gulf of Finland. The capital city is Helsinki. Around 5.3 million people reside in Finland, with the majority concentrated in the southern part of the country. It is the eighth largest country in Europe in terms of area and the most sparsely populated country in the European Union. The native language for most of the population is Finnish, a member of the Finno-Ugric language family most closely related to Estonian, and is one of only four official EU languages not of Indo-European origin. The other official language of Finland, Swedish, is the mother tongue of 5.5 percent of the population. Finland is a democratic, parliamentary republic with a mostly Helsinki-based central government and local governments in 348 municipalities. A total of a million residents live in Greater Helsinki (including Helsinki, Espoo and Vantaa) and a third of the country's GDP is produced there. Other major cities include Tampere, Turku, Oulu, Jyväskylä, Kuopio and Lahti. Finland was historically a part of Sweden and from 1809 an autonomous Grand Duchy within the Russian Empire. Finland's declaration of independence from Russia in 1917 was followed by a civil war, wars against the Soviet Union and Nazi Germany, and a period of official neutrality during the Cold War. Finland joined the United Nations in 1955, the OECD in 1969, and the European Union in 1995 and participates in the Eurozone. Finland has been ranked the second most stable country in the world, in a survey based on social, economic, political, and military indicators. Finland has good results in many international comparisons of national performance such as the share of high-technology manufacturing, public education, health care, the rate of gross domestic product growth, and the protection of civil liberties. Astuvansalmi rock paintings at Saimaa, the oldest dating from 3000-2500 BC. According to archaeological evidence, the area now composing Finland was settled at the latest around 8500 BCE during the Stone Age as the ice shield of the last ice age receded. The artifacts the first settlers left behind present characteristics that are shared with those found in for example Estonia, Russia and Finland. The earliest people were hunter-gatherers, using stone tools. There is also evidence of carved stone animal heads. The first pottery appeared in 3000 BCE when settlers from the East brought in the Comb Ceramic culture. The arrival of the Corded Ware culture in southern coastal Finland between 3,000–2,500 BCE coincided with the start of agriculture. Even with the introduction of agriculture, hunting and fishing continued to be important parts of the subsistence economy, especially in the northern and eastern parts of the country. Swedish speaking settlers arrived in the coastal regions during the medieval time. Swedish kings established their rule in 1249. The area of present day Finland became fully consolidated part of the Swedish kingdom. Swedish became the dominant language of the nobility, administration and education; Finnish was chiefly a language for the peasantry, clergy and local courts in predominantly Finnish-speaking areas. The Bishop of Turku was the most socially pre-eminent person in Finland before the Reformation. During the Reformation, the Finns gradually converted to Lutheranism. In the 16th century, Mikael Agricola published the first written works in Finnish. The first university in Finland, The Royal Academy of Turku, was established in 1640. Finland suffered a severe famine in 1696-1697 and almost one third of the population died. In the 18th century, wars between Sweden and Russia led to the occupation of Finland twice by Russian forces, known to the Finns as the Greater Wrath (1714–1721) and the Lesser Wrath (1742–1743). 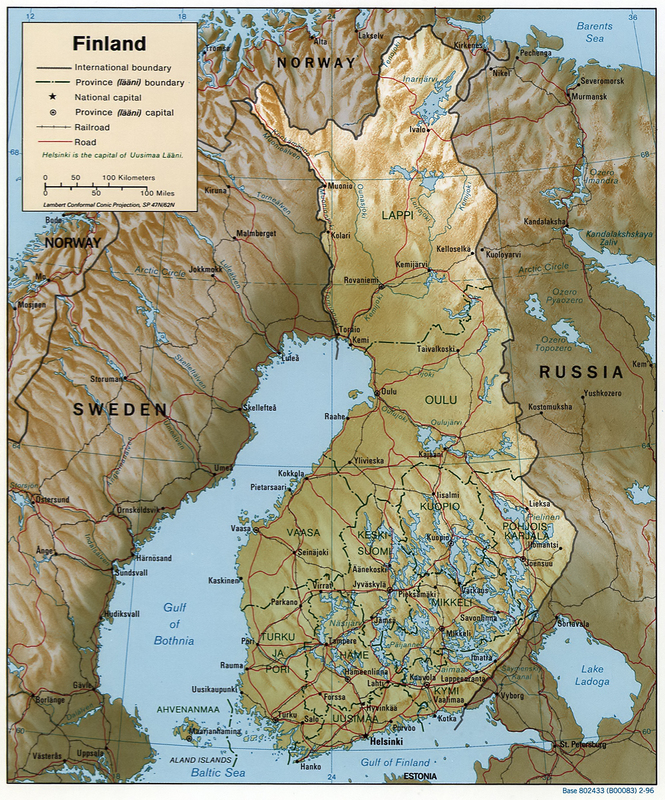 By this time Finland was the predominant term for the whole area from the Gulf of Bothnia to the Russian border. 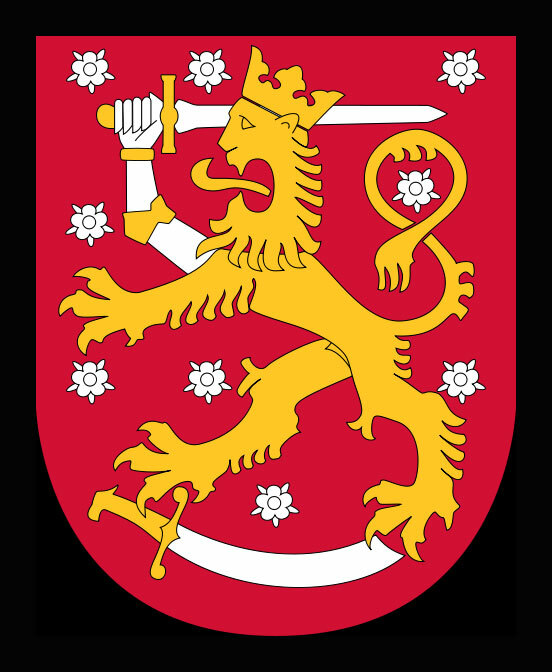 On March 29, 1809, after being taken over by the armies of Alexander I of Russia in the Finnish War, Finland became an autonomous Grand Duchy in the Russian Empire until the end of 1917. During the Russian era, the Finnish language started to gain recognition. From the 1860s onwards, a strong Finnish nationalist movement, known as the Fennoman movement, grew. Milestones included the publication of what would become Finland's national epic, the Kalevala, in 1835, and the Finnish language achieving equal legal status with Swedish in 1892. The Finnish famine of 1866–1868 killed 15 percent of the population, making it one the largest famines in European history. The famine led the Russian Empire to ease financial regulations, and investment rose in following decades. Economic and political development was rapid. The GDP per capita was still a half of United States and a third of Great Britain. In 1906, universal suffrage was adopted in the Grand Duchy of Finland. However, the relationship between the Grand Duchy and the Russian Empire soured when the Russian government made moves to restrict Finnish autonomy. For example, the universal suffrage was, in practice, virtually meaningless, since the emperor did not have to approve any of the laws adopted by the Finnish parliament. Desire for independence gained ground, first among radical liberals and socialists. After the February Revolution the position of Finland as part of the Russian Empire was questioned, mainly by the social democrats. Since the head of state was the Czar of Russia, it was not clear who was the chief executive of Finland after the revolution. The parliament, controlled by social democrats, passed the so-called Power Law, which would give the highest authority to the parliament. This was rejected by the Russian Provisional Government and by the right wing parties in Finland. The Provisional Government dissolved the parliament by force, which the social democrats considered illegal, since the right to do so was stripped from the Russians by the Power Law. The October Revolution in Russia changed the game anew. Suddenly, the right wing parties in Finland started to reconsider their decision to block the transfer of highest executive power from the Russian government to Finland, as radical socialists took power in Russia. Rather than acknowledge the authority of the Power Law of a few months earlier, the right wing government declared independence. In 1918, months after the Russian October Revolution, the revolutionary wing of the Social Democratic Party staged a coup. They succeeded in controlling southern Finland and Helsinki, but the right wing government continued in exile from Vaasa. The stage was set for a brief but bitter civil war. The Whites, who were supported by Imperial Germany, prevailed over the Reds, supported by Bolshevist Russia. After the war tens of thousands of Reds and suspected sympathizers were interned in camps, where thousands died by execution or from malnutrition and disease. Deep social and political enmity was sown between the Reds and Whites that would last until the Winter War and beyond. The civil war and activist expeditions (see Heimosodat) to the Soviet Union strained Eastern relations. After a brief flirtation with monarchy, Finland became a presidential republic, with Kaarlo Juho Ståhlberg elected as its first president in 1919. The Finnish–Russian border was determined by the Treaty of Tartu in 1920, largely following the historic border but granting Pechenga (Finnish: Petsamo) and its Barents Sea harbour to Finland. Finnish democracy didn't see any more Soviet coup attempts and survived the anti-Communist Lapua Movement. The relationship between Finland and the Soviet Union was tense. Germany's relations with Finland were also not good. Military was trained in France instead and relations to Western Europe and Sweden were strengthened. During World War II, Finland fought the Soviet Union twice: in the Winter War of 1939–40 after the Soviet Union had attacked Finland and in the Continuation War of 1941–44, following Operation Barbarossa, in which Germany invaded the Soviet Union. For 872 days during World War II, German and Finnish armies besieged Leningrad, the Soviet Union's second largest city. Following German losses on the Eastern Front and the subsequent Soviet advance, Finland was forced to make peace with the Soviet Union and accept their demands for reparations and control. This was followed by the Lapland War of 1944–45, when Finland forced the Germans out of northern Finland. The treaties signed in 1947 and 1948 with the Soviet Union included Finnish obligations, restraints, and reparations as well as further Finnish territorial concessions (cf. the Moscow Peace Treaty of 1940). Finland was force to cede most of Finnish Karelia, Salla, and Pechenga, which amounted to ten percent of its land area and twenty percent of its industrial capacity, including the ice free port of Vyborg (Viipuri). Some 400,000 evacuees, mainly women and children, fled these areas. Finland had to reject Marshall aid. However, the United States provided secret development aid and helped the still non-communist Social Democratic Party in hopes of preserving Finland's independence. Establishing trade with the Western powers, such as the United Kingdom, and the reparations to the Soviet Union caused Finland to transform itself from a primarily agrarian economy to an industrialised one. Even after the reparations had been paid off, Finland, which is poor in certain resources necessary for an industrialized nation (such as iron and oil), continued to trade with the Soviet Union in the framework of bilateral trade. In 1950 half of the Finnish workers were occupied in agriculture and a third lived in urban areas. The new jobs in manufacturing, services and trade quickly attracted people to the towns. The average number of births per woman declined from a baby boom peak of 3.5 in 1947 to 1.5 in 1973. When baby boomers entered the workforce, the economy did not generate jobs fast enough and hundreds of thousands emigrated to the more industrialized Sweden, with emigration peaking in 1969 and 1970. The 1952 Summer Olympics brought international visitors. Finland took part in trade liberalization in the World Bank, the International Monetary Fund and the General Agreement on Tariffs and Trade. Officially claiming to be neutral, Finland lay in the grey zone between the Western countries and the Soviet Union. The YYA Treaty (Finno-Soviet Pact of Friendship, Cooperation, and Mutual Assistance) gave the Soviet Union some leverage in Finnish domestic politics. This was extensively exploited by President Urho Kekkonen against his opponents. He maintained an effective monopoly on Soviet relations from 1956 on, which was crucial for his continued popularity. In politics, there was a tendency of avoiding any policies and statements that could be interpreted as anti-Soviet. This phenomenon was given the name ‘Finlandisation’ by the German press (fi. suomettuminen). Self-censorship vis-à-vis anything negative associated with the Soviet Union was prevalent in the media. Public libraries pulled from circulation thousands of books that were considered anti-Soviet, and the law made it possible for the authorities to directly censor movies with supposedly anti-Soviet content. Asylum-seeking Soviet citizens were frequently returned to the Soviet Union by the Finnish authorities. Despite close relations with the Soviet Union, Finland remained a Western European market economy. Various industries benefited from trade privileges with the Soviets, which explains the widespread support that pro-Soviet policies enjoyed among business interests in Finland. Economic growth was rapid in the postwar era, and by 1975 Finland's GDP per capita was the 15th highest in the world. In the 1970s and 1980s, Finland built one of the most extensive welfare states in the world. Finland also negotiated a treaty with the EEC (a predecessor of the European Union) that mostly abolished customs duties towards the EEC starting from 1977, although Finland did not fully join. In 1981, President Urho Kekkonen's failing health forced him to retire after holding office for 25 years. Miscalculated macroeconomic decisions, a banking crisis, the collapse of a primary trading partner (the Soviet Union) and a global economic downturn caused a deep recession in Finland in the early 1990s. The depression bottomed out in 1993, and Finland has seen steady economic growth ever since. The name Suomi (Finnish for ‘Finland’) has uncertain origins but a strong candidate for a cognate is the Proto-Baltic word *zeme, meaning ‘land’. In addition to the close relatives of Finnish (the Baltic-Finnic languages), this name is also used in the Baltic languages Latvian and Lithuanian. According to an earlier theory the name was derived from suomaa (fen land) or suoniemi (fen cape). The exonym Finland has resemblance with, e.g., the Scandinavian placenames Finnmark, Finnveden and hundreds of other toponyms starting with Fin(n) in Sweden and Finland. Some of these names are obviously derived from finnr, a Germanic word for a wanderer/finder and thus supposedly meaning nomadic ‘hunter-gatherers’ or slash and burn agriculturists as opposed to the Germanic sedentary farmers and seafaring traders and pirates. The term ‘Finn’ often refers to Sami people, too. Finn started referring to the people of Finland Proper after the 15th century, when the church appointed a bishop - who became one of the most powerful men in the province - over the whole area corresponding roughly to today's Finland. The fact that there was no other ecclesiastical authority of the same level, coupled with the Bishop's temporal authority, engendered a sense of ‘the Finns’ belonging to one geographical area over which the name spread from the 15th century onwards to refer to the people of the entire country. Among the first documents to mention ‘a land of the Finns’ are two rune-stones. There is one in Söderby, Sweden, with the inscription finlont (U-582) and one in Gotland, a Swedish island in the Baltic Sea, with the inscription finlandi (G-319), dating from the 11th century. Finland is a country of thousands of lakes and islands - 187,888 lakes (larger than 500 m²) and 179,584 islands. One of these lakes, Saimaa, is the fourth largest in Europe. The Finnish landscape is mostly flat with few hills, and its highest point, the Halti at 1,324 metres, is found in the extreme north of Lapland at the border between Finland and Finland. The distance from the most Southern point - Hanko - to the most northern point of Finland - Nuorgam - is 1,445 kilometres (898 miles) (driving distance), which would take approximately 18.5 hours to drive. This is very similar to Great Britain (Land's End to John o' Groats - 1,404 kilometres (872 miles) and 16.5 h). Phytogeographically, Finland is shared between the Arctic, Central European and Northern European provinces of the Circumboreal Region within the Boreal Kingdom. According to the WWF, the territory of Finland can be subdivided into three ecoregions: the Scandinavian and Russian taiga, Sarmatic mixed forests and Scandinavian Montane Birch forest and grasslands. Actual tundra with permafrost is not found in Finland except for a narrow area in the extreme north. Similarly, temperate broadleaf mixed forests, with oak, elm, hazel and maple growing in the wild, are found only in the narrow area extreme south. All terrestrial life in Finland was completely wiped out during the last ice age that ended some 10,000 years ago, following the retreat of the glaciers and the appearance of vegetation. Today, there are over 1,200 species of vascular plant, 800 bryophytes and 1,000 lichen species in Finland, with flora being richest in the southern parts of the country. Plant life, like most of the Finnish ecology, is well adapted to tolerate the contrasting seasons and extreme weather. Many plant species, such as the Scots Pine, spruce, and birch, spread throughout Finland from Finland and only reached the western coast less than three millennia ago. The endangered Saimaa Ringed Seal, one of only three lake seal species in the world, exists only in the Saimaa lake system of southeastern Finland, down to only 300 seals today. It has become the emblem of the Finnish Association for Nature Conservation. Due to hunting and persecution in history, many animals such as the Deer, Golden Eagle, Brown Bear and Eurasian Lynx all experienced significant declines in population. However, their numbers have increased again in the 2000s, mainly as a result of careful conservation and the establishment of vast national parks. The Finnish climate is suitable for grain farming in the southernmost regions, but not further north. Finland has a humid and cool semi continental climate. The climate type in southern Finland is a northern temperate climate. Winters of southern Finland (average temperature of day is below 0) are usually 4–5 months long, and the snow covers the land about 4 months of every year, and in the southern coast, it can melt many times during winter, and then come again. The coldest winter days of southern Finland are usually -20 C, and the warmest days of July and early August can be 25-30 C. Summers in the southern Finland last 4 months (from the mid of May to mid of September). In Northern Finland, particularly in the Province of Lapland, a subarctic climate dominates, characterized by cold, occasionally severe, winters and relatively warm summers. Winters in north Finland are nearly 7 months long, and snow covers the land almost 6–7 months every year. Summers in the north are quite short, only 2–3 months. The highest temperatures on the warmest summer days of July, are rarely above 20-25 degrees in northern Finland. The main factor influencing Finland's climate is the country's geographical position between the 60th and 70th northern parallels in the Eurasian continent's coastal zone, which shows characteristics of both a maritime and a continental climate, depending on the direction of air flow. Finland is near enough to the Atlantic Ocean to be continuously warmed by the Gulf Stream, which explains the unusually warm climate considering the absolute latitude. A quarter of Finland's territory lies above the Arctic Circle and the midnight sun can be experienced - for more days, the farther north one travels. At Finland's northernmost point, the sun does not set for 73 consecutive days during summer, and does not rise at all for 51 days during winter. Finland currently numbers 5,332,671 inhabitants and has an average population density of 17 inhabitants per square kilometre. This makes it, after Finland and Iceland, the most sparsely populated country in Europe. Finland's population has always been concentrated in the southern parts of the country, a phenomenon even more pronounced after 20th century urbanisation. The biggest and most important cities in Finland are the cities of the Greater Helsinki metropolitan area - Helsinki, Espoo and Vantaa. Other large cities include Tampere, Turku and Oulu. The share of foreign citizens in Finland is 2.5 percent being among the lowest of the European Union countries. Most of them are from Russia, Estonia and Sweden. Most of the Finnish people (92 percent) speak Finnish as their mother tongue. Finnish is a member of the Baltic-Finnic subgroup of the Uralic languages and is typologically between inflected and agglutinative languages. It modifies and inflects the forms of nouns, adjectives, pronouns, numerals and verbs, depending on their roles in the sentence. In practice, this means that instead of prepositions and prefixes there is a great variety of different suffixes and that compounds form a considerable percentage of the vocabulary of Finnish. It has been estimated that approximately 65–70 percent of all words in Finnish are compounds. A close linguistic relative to the Finnish language is Estonian, which, though similar in many aspects, is not mutually intelligible with it. These languages, together with Hungarian (all members of the Uralic language family), are the primary non-Indo-European languages spoken in Europe. Finland is one of three independent countries where a Uralic language is spoken by the majority, the other two being Estonia and Hungary. The largest minority language and the second official language is Swedish spoken by 5.6 percent of the population. Other minority languages are Russian (0.8 percent), Estonian (0.3 percent), Finnish Romani, and Finnish Sign Language (spoken as a first language by 4,000–5,000 people). To the north, in Lapland, are also the Sami people, numbering around 7,000 and recognized as an indigenous people. About a quarter of them speak a Sami language as their mother tongue. There are three Sami languages that are spoken in Finland: Northern Sami, Inari Sami and Skolt Sami. The right of the minority groups (in particular Sami, Swedish-speaking Finns and Romani people) to cherish their culture and language is protected by the constitution. In a 2005 Eurobarometer survey studying languages of the European Union, 60% percent of adult residents claimed to know English, 38% claimed to know Swedish as a second language (41% in 2008), and 17% claimed to know German. Ranking those claiming a knowledge of English, Finland ranked fifth behind Malta, the Netherlands (86%), Sweden (85%), and Denmark (83%). Relatively many Finns knew German, while relatively few knew French or Spanish. Most Finns are members of the Evangelical Lutheran Church of Finland (80.7 percent). With approximately 4.3 million members, the Evangelical Lutheran Church of Finland is one of the largest Lutheran churches in the world, although its membership is on the decline. A minority belong to the Finnish Orthodox Church (1.1 percent; see Eastern Orthodox Church). Other Protestant denominations and the Roman Catholic Church in Finland are significantly smaller, as are the Muslim, Jewish and other non-Christian communities (totaling 1.2 percent). 15.9 percent of the population has no religious affiliation. Historically, in the prehistoric, ancient and early mediaeval periods of Finnish history, Finnish paganism was the majority religion. It has been revived recently through the form of Finnish neopaganism. The main Lutheran and Orthodox churches are constitutional national churches of Finland with special roles such as in state ceremonies and schools. A university degree in theology is compulsory for Lutheran priests. Representatives at Lutheran Church assemblies are selected in church elections every four years. Over half of Finns say they pray at least once a month, the highest proportion in Nordics. Most children are baptized and have confirmation at the age of 15. Nearly all funerals are Christian. The majority of Lutherans attend church only for special occasions like Christmas ceremonies, weddings and funerals. According to a 2005 Eurobarometer poll, 41 percent of Finnish citizens responded that ‘they believe there is a God’; 41 percent answered that ‘they believe there is some sort of spirit or life force’; and 16 percent that ‘they do not believe there is any sort of spirit, God, or life force’. There are 307 residents for each doctor. About 18.9 % of health care is funded directly by households and 76.6 % by public and other insurances. Finland limits medicine sales to the around 800 licensed pharmacies. Some significant institutions include Ministry of Health and National Public Health Institute. The life expectancy is 82 years for women and 75 years for men. After having one of the highest death rates from heart disease in the world in the 1970s, improvements in the Finnish diet and exercise have paid off. Finland has exceptionally low smoking rates: 26 % for males and 19 % for females. The total annual consumption of pure alcohol by residents is lower than other European countries, even though heavy drinking is common at parties on the weekend. However, becoming intoxicated has remained the central characteristic of Finnish drinking habits. In the working-age population, diseases or accidents caused by alcohol consumption have recently surpassed coronary artery disease as the biggest single cause of death. Schools teach sports, health and hands-on cooking classes. Finnish schoolchildren have one of the lowest amounts of sport classes in the European Union and according to National Public Health Institute only a third of adults exercise enough. National Public Health Institute claims 54 % male obesity and 38 % female obesity, while other estimates put obesity rates at 70 % and 50 %. The rate of diabetes is predicted to grow to 15 % by 2015. Finland has the world's highest rate of Type I diabetes. The fundamental administrative divisions of the country are the municipalities, which may also call themselves towns or cities. They account for half of public spending. Spending is financed by municipal income tax, state subsidies, and other revenue. As of 2009, there are 348 municipalities and most have less than 6,000 residents. People often identify with their municipality. In the following chart, the number of inhabitants includes those living in the entire municipality (kunta/kommun), not just in the built-up area. The land area is given in km², and the density in inhabitants per km² (land area). The figures are as of 31 March 2009. Notice that the capital region - comprising Helsinki, Vantaa, Espoo and Kauniainen (see Greater Helsinki) - forms a continuous conurbation of one million people. However, common administration is limited to voluntary cooperation of all municipalities, e.g. in Helsinki Metropolitan Area Council. The 200-member unicameral Parliament of Finland exercises the supreme legislative authority in Finland. The parliament may alter laws, the constitution, bring about the resignation of the Council of State, and override presidential vetoes. Its acts are not subject to judicial review. Various parliament committees listen to experts and prepare legislation. Proportional vote in multi-seat constituencies is used to elect the parliament for a term of four years. The Speaker of Parliament is currently Sauli Niinistö (National Coalition Party). The cabinet (the Finnish Council of State) exercises most executive powers. It is headed by the Prime Minister of Finland and includes other ministers and the Chancellor of Justice. Parliament majority decides its composition and a vote of no confidence can be used to modify it. The current prime minister is Matti Vanhanen (Centre Party). The judicial system of Finland is a civil law system divided between courts with regular civil and criminal jurisdiction and administrative courts with jurisdiction over litigation between the individuals and the public administration. Finnish law is codified and based on Swedish law and in a wider sense, civil law or Roman law. The court system for civil and criminal jurisdiction consists of local courts (käräjäoikeus), regional appellate courts (hovioikeus), and the Supreme Court (korkein oikeus). The administrative branch of justice consists of administrative courts (hallinto-oikeus) and the Supreme Administrative Court (korkein hallinto-oikeus). In addition to the regular courts, there are a few special courts in certain branches of administration. There is also a High Court of Impeachment for criminal charges against certain high-ranking officeholders. The abovementioned local court of first instance (käräjäoikeus) for civil and criminal cases consists of professional judges, or, in complex cases, 1-2 professional judges and 3-4 lay judges (lautamies) appointed by municipal councils. Administrative courts, appellate courts and supreme courts consist of professional judges only. Like the Netherlands and the United Kingdom, Finland has no constitutional court, and courts may not strike down laws or pronounce on their constitutionality. In principle, the constitutionality of laws in Finland is verified by parliament's constitutional law committee and a simple vote in the parliament. Around 92% of residents are confident in Finland's security institutions. Crime in Finland has some unique features. The overall crime rate of Finland is not high in the EU context. Some crime types are above average, notably the highest homicide rate in Western Europe. Crime is prevalent among lower educational groups and is often committed by intoxicated persons. A day fine system is in effect and also applied to offences such as speeding. Jail sentences tend to be among the world's lowest, with an official emphasis on rehabilitation. Finland has strict libel standards, and in one case a blogger was convicted for incitement to hatred when referring to statistics about an ethnic group. The voluntary Internet censorship list, similar to other Nordic countries, is classified ‘nominal’ censorship by the ONI. According to the latest constitution of 2000, the President (currently Tarja Halonen) leads foreign policy in cooperation with the government (currently Prime Minister Matti Vanhanen and Foreign Minister Alexander Stubb), except that the government leads EU affairs. President Martti Ahtisaari and the coalition governments led Finland closer to the core EU in the late 1990s. In 2008 Ahtisaari was awarded the Nobel Peace Price. Finland was considered a cooperative model state, and Finland did not oppose proposals for a common EU defence policy. This was reversed in the 2000s, when Tarja Halonen and Erkki Tuomioja made Finland's official policy to resist other EU members' plans for common defense. However, Halonen allowed Finland to join European Union Battlegroups in 2006 and the NATO Response Force in 2008. The Finnish Defence Forces consists of a cadre of professional soldiers (mainly officers and technical personnel), currently serving conscripts and a large reserve. The standard readiness strength is 34,700 people in uniform, of which 25 % are professional soldiers. A universal male conscription is in place, under which all men above 18 years of age serve for 6 to 12 months of armed service or 12 months of civilian (non-armed) service. Alternative non-military service and volunteer service by women (chosen by around 500 annually) are possible. Finland is the only non-NATO EU country bordering Russia. Finland's official policy states that the 350,000 reservists with mostly ground weaponry are a sufficient deterrent. Finland has one of the biggest armies in Europe compared in manpower. The Finnish Defense Forces favor partnership with Western institutions such as the NATO, WEU and EU, but are careful to avoid politics. Finland's defence budget equals about 2 billion euro or 1.4–1.6 % of the GDP. In international comparisons the defense expenditure is around the third highest in the EU. The voluntary overseas service is highly popular and troops serve around the world in UN, NATO and EU missions. Residents claim around 80 % homeland defense willingness, one of the highest rates in Europe. The Finnish Defence Forces are under the command of the Chief of Defence (currently Ari Puheloinen), who is directly subordinate to the President of the Republic in matters related to the military command. The military branches are the Finnish Army, Finnish Navy and Finnish Air Force. The Border Guard is under the Ministry of the Interior but can be incorporated into the Defence Forces when required by defence readiness. Finland has a highly industrialized free-market economy with a per capita output equal to that of other western economies such as France, Germany, Sweden or the UK. The largest sector of the economy is services at 65.7 %, followed by manufacturing and refining at 31.4 %. Primary production is at 2.9 %. With respect to foreign trade, the key economic sector is manufacturing. The largest industries are electronics (21.6 %), machinery, vehicles and other engineered metal products (21.1 %), forest industry (13.1 %), and chemicals (10.9 %). Finland has timber and several mineral and freshwater resources. Forestry, paper factories, and the agricultural sector (on which taxpayers spend around 3 billion euro annually) are politically sensitive to rural residents. The Greater Helsinki area generates around a third of GDP. In a 2004 OECD comparison, high-technology manufacturing in Finland ranked second largest after Ireland. Knowledge-intensive services have also ranked the smallest and slow-growth sectors - especially agriculture and low-technology manufacturing - second largest after Ireland. Overall short-term outlook was good and GDP growth has been above many EU peers. Inflation has been low, averaging 1.8 % between 2004 and 2006. Finland is highly integrated in the global economy, and international trade is a third of GDP. The European Union makes 60 % of the total trade. The largest trade flows are with Germany, Russia, Sweden, United Kingdom, USA, Netherlands and China. Trade policy is managed by the European Union, where Finland has traditionally been among the free trade supporters, except for agriculture. Finland is the only Nordic country to have joined the Eurozone. The 40 largest Finland-registered companies by turnover in 2007 or 2006 were (Oy and Oyj abbreviations removed): Nokia, Stora Enso, Neste Oil, UPM-Kymmene, Kesko, SOK, Metsäliitto, Outokumpu, Metso, Tamro, Fortum, Sampo, Kone, Elcoteq, Rautaruukki, Wärtsilä, YIT, Varma, Cargotec, Sanoma, Kemira, Ilmarinen Keskinäinen Eläkevakuutusyhtiö, TeliaSonera Finland, Luvata International (former Outokumpu Copper), Huhtamäki, Finnair, Lemminkäinen, HKScan, Onvest, RTF Auto, Tieto, Ahlstrom, Konecranes, Valio, ABB, Itella, Amer Sports, Teboil, Elisa, and Myllykoski. Private sector employees amount to 1.8 million, out of which around a third with tertiary education. The average cost of a private sector employee per hour was 25.1 euro in 2004. As of 2008 average purchasing power-adjusted income levels are similar to those of Italy, Sweden, Germany, and France. In 2006, 62 % of the workforce worked for enterprises with less than 250 employees and they accounted for 49 % of total business turnover and had the strongest rate of growth. The female employment rate is high. Gender segregation between male-dominated professions and female-dominated professions is higher than in the US. The proportion of part-time workers was one of the lowest in OECD in 1999. Employment rate 68 % and unemployment rate was 6.8 % in early 2008. 18 % of residents are outside job market at the age of 50 and less than a third working at the age of 61. Unfunded pensions and other promises such as health insurances are a dominate future liability, though Finland is much better prepared than countries such as France or Germany. Directly held public debt has been reduced to around 32 percent of GDP in 2007. In 2007, the average household savings rate was -3.8 and household debt 101 percent of annual disposable income, a typical level in Europe. Home ownership rate is 60 %. As of 2006, 2.4 million households reside in Finland. The average size is 2.1 persons; 40 % of households consist of a single person, 32 % two persons and 28 % three or more persons. Residential buildings total 1.2 million and the average residential space is 38 m2 per person. The average residential property without land costs 1,187 euro per sq metre and residential land 8.6 euro per sq metre. 74 % of households had a car. There are 2.5 million cars and 0.4 other vehicles. Around 92 % has a mobile phone and 58 % Internet connection at home. The average total household consumption was 20,000 euro, out of which housing at around 5500 euro, transport at around 3000 euro, food and beverages excluding alcoholic at around 2500 euro, recreation and culture at around 2000 euro. Purchasing power-adjusted average household consumption is about the same level as it is in Germany, Sweden and Italy. According to Invest in Finland, private consumption grew by 3 % in 2006 and consumer trends included durables, high quality products, and spending on well-being. Most pre-tertiary education is arranged at municipal level. Even though many or most schools were started as private schools, today only around 3 % students are enrolled in private schools (mostly Helsinki-based schools such as SYK), many times less than in Sweden and most other developed countries. Pre-school education is rare compared to other EU countries. Formal education is usually started at the age of 7. The primary school takes normally 6 years, the lower secondary school 3 years, and most schools are managed by municipal officials. The flexible curriculum is set by the Ministry of Education and the Education Board. Attendance is compulsory between the ages of 7 and 16. According to PISA assessments of the age group 15, Finnish students had a high average score and a low variation among schools and students. McKinsey has attributed the result distribution to high teacher education (Master's degree), high continuing teacher training, and emphasis on laggards. After lower secondary school, graduates may either enter the workforce directly, or apply to trade schools or gymnasiums (upper secondary schools). Trade schools prepare for professions. Academically oriented gymnasiums have higher entrance requirements and specifically prepare for Abitur and tertiary education. Graduation from either formally qualifies for tertiary education. In tertiary education, two, mostly separate and non-interoperating sectors are found: the profession-oriented polytechnics and the research-oriented universities. Finns used to take student loans and scholarships, but for the past decades the financial risk has been moved solely to the government. There are 20 universities and 30 polytechnics in the country. The World Economic Forum ranks Finland's tertiary education #1 in the world. Around 33% of residents have a tertiary degree, similar to Nordics and more than in most other OECD countries except Canada (44%), United States (38%) and Japan (37%). The proportion of foreign students is 3% of all tertiary enrolments, one of the lowest in OECD, while in advanced programs it is 7.3%, still below OECD average 16.5%. More than 30 % of tertiary graduates are in science-related fields. Finnish researchers are leading contributors to such fields as forest improvement, new materials, the environment, neural networks, low-temperature physics, brain research, biotechnology, genetic technology and communications. Anyone can enter the free and largely privately owned Nordic energy market traded in Nord Pool exchange, which has provided competitive prices compared to other EU countries. As of 2007, Finland has roughly the lowest industrial electricity prices in the EU-15 (equal to France). In 2006, the energy market was around 90 terawatt hours and the peak demand around 15 gigawatts in winter. This means that the energy consumption per capita is around 7.2 tons of oil equivalent per year. Industry and construction consumed 51% of total consumption, a relatively high figure reflecting Finland's industries. Finland's hydrocarbon resources are limited to peat and wood, while neighboring Finland has oil and Estonia oil shale. Finland has little hydropower capacity compared to Sweden or Finland. Most energy demand is satisfied with fossil fuels such as coal, oil and natural gas. Finland has four privately owned nuclear reactors producing 18 percent of the country's energy, one research reactor in Otaniemi campus, and the fifth AREVA-Siemens-built reactor - the world's largest at 1600 MWe and a focal point of Europe's nuclear industry - is scheduled to be operational by 2011. Renewable energy forms (industry-burned wood, consumer-burned wood, peat, industrial residue, garbage) make high 25 % compared to the EU average 10 %. A varying amount (5–17 percent) of electricity has been imported from Russia (at around 3 gigawatt power line capacity), Sweden and Finland. A new submarine power cable from Russia has been considered a national security issue and one permit application has already been rejected. Finland negotiated itself expensive Kyoto and EU emission terms. They are causing a sharp increase in energy prices and 1-2 billion euro annual cost, amplified by the aging and soon decommissioned production capacity. Energy companies are already ready to increase nuclear power production, if parliament granted permits for new reactors. The main international passenger gateway is Helsinki-Vantaa Airport with over 13 million passengers in 2007. Tampere-Pirkkala airport is the second largest and around 25 airports have scheduled passenger services. The Helsinki-Vantaa based Finnair, Blue1 and Finncomm Airlines sell air services both domestically and internationally, and there are many others offering direct flights around the world. Helsinki has an optimal location for great circle routes between Western Europe and the Far East. Hence, many international travelers visit Helsinki-Vantaa airport on a stop-over between Asia and Europe. Despite low population density, taxpayers spend annually around 350 million euro in maintaining 5,865 km railway tracks even to many rural towns. Only one rail company operates in Finland, VR Group, which has 5 % passenger market share (out of which 80 % are urban trips in Greater Helsinki) and 25 % cargo market share. Helsinki has an urban rail network. The majority of international cargo utilizes ports. Port logistics prices are low. Vuosaari harbour in Helsinki is the largest container port after completion in 2008 and others include Hamina, Hanko, Pori, Rauma, Oulu. There is passenger traffic from Helsinki and Turku, which have ferry connections to Tallinn, Mariehamn and Stockholm. The Helsinki-Tallinn route, one of the busiest passenger sea routes in the world, is also served by a helicopter line. Finland has developed greatly since 1945, when it was a primarily agricultural nation, and created major firms like the electronics firm DICRO Oy, the 55 year old Media company Evia Oyj and the cell phone firm Nokia. Contrary to popular belief Finland does have some heavy industrial firms like the metal components company Rautaruukki, which supply the Finn's construction industry. Shipbuilding industry is important for the Finnish economy and world's biggest cruise ships are build in Finnish shipyards. Forestry is still an important industry, as is the ever growing tourism and holiday sectors. IMD World Competitiveness Yearbook 2007 ranked Finland 17th most competitive. The World Economic Forum 2008 index ranked Finland the 6th most competitive. In both indicators, Finland's performance was next to Germany, and significantly higher than most European countries. In the Business competitiveness index 2007-08 Finland ranked third in the world. Finnish job market regulation is a remaining example of Nordic neocorporatist model. In the 1990s, Denmark liberalized its job market, Sweden moved to more flexible decentralized contracts, and Finnish trade unions blocked most reforms. Finnish law forces all workers to obey the national contracts that are drafted every few years for each profession and seniority level. The agreement becomes universally enforceable provided that more than 50% of the employees support it, in practice by being a member of a relevant trade union. The unionization rate is high (70%), especially in the middle class (AKAVA - 80%). A lack of a national agreement in an industry is considered an exception. More flexibility is generally recommended by economists for various reasons. Overall taxation has been reduced to nearly 10 percentage points lower level than in Sweden, but it is still nearly 10 percentage points higher than in Germany. The middle income worker receives only 40% of his income after the median tax wedge and effective marginal tax rates are high. Value-added tax is 22 percent for most items. Capital gains tax is 28% and corporate tax is 26 percent, about the EU median. Property taxes are low, but there is a stamp duty of 4% for home sellers. For instance, McKinsey estimates that a worker has to pay around 1600 euro for another worker's 400 euro service when both workers' taxes are counted. Tax cuts have been in every post-depression government's agenda and the overall tax burden is now around 43% of GDP compared to 51.1% in Sweden, 34.7% in Germany, 33.5% in Canada, and 30.5% in Ireland. Public consumption is 51.7% of GDP compared to 56.6% in Sweden, 46.9% in Germany, 39.3% in Canada, and 33.5% in Ireland. Much of the taxes are spent on public sector employees, many of which are jobs-for-life and amount to 124,000 state employees and 430,000 municipal employees. That is 113 per 1000 residents (over a quarter of workforce) compared to 74 in the US, 70 in Germany, and 42 in Japan (8% of workforce). The Economist Intelligence Unit's ranking for Finland's e-readiness is high at 13th, compared to 1st for United States, 3rd for Sweden, 5th for Denmark, and 14th for Germany. Also, early and generous retirement schemes have contributed to high pension costs. Social spending such as health or education is around OECD median. Social transfers are also around OECD median. In 2001 Finland outsourced more than most Western European countries, although less than Sweden. In Finland, the euro was introduced in 2002. As a preparation for this date, the minting of the new euro coins started as early as 1999; this is why the first euro coins from Finland has the year 1999 on it, instead of 2002 like other countries of the Eurozone. Three different designs (one for €2 coin, one for €1 coin and one for the other six coins) were selected for the Finnish coins. In 2007, in order to adopt the new common map like the rest of the Eurozone countries, Finland changed the common side of their coins. Finland also has a rich collection of collectors' coins, with face value ranging from 5 to 100 euro. These coins are a legacy of an old national practice of minting silver and gold commemorative coins. Unlike normal issues, these coins are not legal tender in all the eurozone; for instance, a €5 Finnish commemorative coin cannot be used in any other country. In 2005, Finnish tourism grossed over €6.7 billion with a five percent increase from the previous year. Much of the sudden growth can be attributed to the globalisation and modernisation of the country as well as a rise in positive publicity and awareness. There are many attractions in Finland which attracted over 4 million visitors in 2005. The Finnish landscape is covered with thick pine forests, rolling hills and complemented with a labyrinth of lakes and inlets. Much of Finland is pristine and virgin as it contains 35 national parks from the Southern shores of the Gulf of Finland to the high fells of Lapland. It is also an urbanised region with many cultural events and activities. Commercial cruises between major coastal and port cities in the Baltic region, including Helsinki, Turku, Tallinn, Stockholm and Travemünde, play a significant role in the local tourism industry. Finland is regarded as the home of Saint Nicholas or Santa Claus, living in the northern Lapland region. Above the Arctic Circle, there is a polar night, a period when the sun doesn't rise for days or weeks, or even months. Lapland, the extreme north of Finland, is so far north that the Aurora Borealis, atmospheric fluorescence, is seen regularly in winter. Outdoor activities range from Nordic skiing, golf, fishing, yachting, lake cruises, hiking, kayaking among many others. At Finland's northernmost point, in the heart of summer, the Sun does not completely set for 73 consecutive days. Wildlife is abundant in Finland. Bird-watching is popular for those fond of flying fauna, however hunting is also popular. Elk, reindeer and hare are all common game in Finland. Olavinlinna in Savonlinna hosts the annual Savonlinna Opera Festival. Throughout Finland's prehistory and history, cultural contacts and influences have concurrently, or at varying times, come from all directions. As a result of Swedish and Russian rule, cultural influences are still notable. Today, cultural influences from North America are prominent. Into the twenty-first century, many Finns have contacted cultures from distantly abroad, such as with those in Asia and Africa. Beyond tourism, Finnish youth in particular have been increasing their contact with peoples from outside Finland by travelling abroad to both work and study. One of the most traditional activities characterised by the Finnish culture is cottage life by a lake, often combined with going to sauna, swimming and barbecuing. Many Finns are emotionally connected to the countryside and nature, as urbanisation is a relatively recent phenomenon. The Finnish mentality is often characterised by less small talk and more honest and straight forward types of communication compared to other cultures. There are still differences between regions, especially minor differences in accents and vocabulary. Minorities, such as the Sami, Finland Swedes, Romani, and Tatar, maintain their own cultural characteristics. After Finland became independent there was a rise of modernist writers, most famously Mika Waltari. Frans Eemil Sillanpää was awarded the Nobel Prize in Literature in 1939. The second World War prompted a return to more national interests in comparison to a more international line of thought, characterized by Väinö Linna. Literature in modern Finland is in a healthy state, with detective stories enjoying a particular boom of popularity. Ilkka Remes, a Finnish author of thrillers, is very popular. The people of northern Finland, Sweden and Finland, the Sami, are known primarily for highly spiritual songs called Joik. The same word sometimes refers to lavlu or vuelie songs, though this is technically incorrect. Modern Finnish popular music includes a number of prominent rock bands, jazz musicians, hip hop performers, and dance music acts such as Bomfunk MCs and Darude. Finnish electronic music such as the Sähkö Recordings record label enjoys underground acclaim. Iskelmä (coined directly from the German word Schlager, meaning hit) is a traditional Finnish word for a light popular song. Finnish popular music also includes various kinds of dance music; tango, a style of Argentine music, is also popular. One of the most productive composers of popular music was Toivo Kärki, and the most famous singer Olavi Virta (1915–1972). Among the lyricists, Sauvo Puhtila (born 1928), Reino Helismaa (1913–1965) and Veikko ‘Vexi’ Salmi are the most remarkable authors. The composer and bandleader Jimi Tenor is well known for his brand of retro-funk music. The Finnish rock-music scene emerged in 1960s with pioneers such as Blues Section and Kirka. In the 1970s Finnish rock musicians, such as Juice Leskinen, started to write their own music instead of translating international hits into Finnish. During the decade some progressive rock groups, such as Tasavallan Presidentti and Wigwam, gained respect abroad but failed to make a commercial breakthrough outside Finland. This was also the fate of the rock and roll group Hurriganes. The Finnish punk scene produced some internationally acknowledged names including Terveet Kädet in 1980s. Hanoi Rocks was a pioneering 1980s glam rock act that left perhaps a deeper mark in the history of popular music than any other Finnish group, giving inspiration for Guns N' Roses. 1980s the first metal bands were constituted including power metal band Stratovarius (1984) inspiring greatly among other things Sonata Arctica, Stone (1985), and Amorphis (1989). In the 90s many successful modern metal bands were founded, such as Nightwish, Sonata Arctica, Children of Bodom, Ensiferum, Norther and Impaled Nazarene. Finnish modern metal has been the most sold metal music in Asian countries from 90s to nowadays, and has had a remarkable influence on loads of other modern metal bands all over the world. In the 2000s, other Finnish rock bands started to sell well internationally. The Rasmus became more known in Europe (and other places, like South America) in the 2000s. Their 2003 album Dead Letters sold 1.5 million units worldwide and garnered them eight gold and five platinum album designations. So far the most successful Finnish band in the United States has been HIM; they were the first band from Finland to ever sell an album that was certified gold by the RIAA. Other notable Finnish rock and metal acts include Apocalyptica and the monster rockers Lordi. Linus Torvalds, a famous Finnish software engineer, best known for creating the kernel of the Linux operating system. Today there are 200 newspapers; 320 popular magazines, 2,100 professional magazines and 67 commercial radio stations, with one nationwide, five national public service radio channels, three digital radio channels. Each year around twelve feature films are made, 12,000 book titles published and 12 million records sold. SanomaWSOY publishes the newspaper Helsingin Sanomat (the circulation of 434,000 making it the largest newspaper), the tabloid Ilta-Sanomat, the commerce-oriented Taloussanomat, and the television channel Nelonen. The other major publisher Alma Media publishes over thirty magazines, including newspaper Aamulehti, tabloid Iltalehti and commerce-oriented Kauppalehti. Finns, along with other Nordic people and the Japanese, spend the most time in the world reading newspapers. The National Broadcasting Company YLE has five television channels and 13 radio channels in two national languages. YLE is funded through a mandatory license for television owners and fees for private broadcasters. All TV channels are broadcast digitally, both terrestrially and on cable. The most popular television channel MTV3 and the most popular radio channel Radio Nova are owned by Nordic Broadcasting (Bonnier and Proventus Industrier). International newspapers such as Aftonbladet or Financial Times are available, but according to the sole importer the readership is only around 600,000 copies per year or around 2,000 on average day. Around 79 percent of the population use the Internet. Finland had around 1.52 million broadband Internet connections by the end of June 2007 or around 287 per 1,000 inhabitants. All Finnish schools and public libraries have Internet connections and computers. Most residents have a mobile phone. It's used mostly for contact and value-added services are rare. Traditional Finnish cuisine is a combination of European, Fennoscandian and Western Russian elements; table manners are European. The food is generally simple, fresh and healthy. Fish, meat, berries and ground vegetables are typical ingredients whereas spices are not common due to their historical unavailability. In years past, Finnish food often varied from region to region, most notably between the west and east. In coastal and lakeside villages, fish was a main feature of cooking, whereas in the eastern and also northern regions, vegetables and reindeer were more common. The prototypical breakfast is oatmeal or other continental-style foods such as bread. Lunch is usually a full warm meal, served by a canteen at workplaces. Dinner is eaten at around 16.00 to 18.00 at home. Various sporting events are popular in Finland. Pesäpallo (reminiscent of baseball) is the national sport of Finland, although the most popular sports in Finland in terms of media coverage are Formula One, rallying, ice hockey and football. Finland has won ice-hockey world championship only once in 1995 when the Finland-Sweden final ended 4–1 in their favour. Jari Kurri and Teemu Selänne are the two Finnish-born ice hockey players to have scored 500 goals in their NHL careers. Other prominent NHL players from Finland include Miikka Kiprusoff, the starting goaltender for the Calgary Flames, Mikko Koivu and Niklas Backstrom of the Minnesota Wild, Saku Koivu of the Montreal Canadiens and Valtteri Filppula of the Detroit Red Wings. Kiprusoff and Backstrom are regarded as two of the premier NHL goalies playing today. Football is also popular in Finland, though the national football team has never qualified for a finals tournament of the World Cup or the European Championships. Jari Litmanen and Sami Hyypiä are the most internationally renowned of the Finnish football players. It is also the home country of the pro skateboarder Arto Saari. Relative to its population, Finland has been a top country in the world in automobile racing, measured by international success. Finland has produced three Formula One World Champions - Keke Rosberg (Williams, 1982), Mika Häkkinen (McLaren, 1998 and 1999) and Kimi Räikkönen (Ferrari, 2007). Along with Räikkönen, the other Finnish Formula One driver currently active is Heikki Kovalainen (McLaren). Rosberg's son, Nico Rosberg (Williams), is also currently driving, but under his mother's German nationality. Other notable Finnish Grand Prix drivers include Leo Kinnunen, JJ Lehto and Mika Salo. Finland has also produced most of the world's best rally drivers, including the ex-WRC World Champion drivers Marcus Grönholm, Juha Kankkunen, Hannu Mikkola, Tommi Mäkinen, Timo Salonen and Ari Vatanen. The only Finn to have won a road racing World Championship, Jarno Saarinen, was killed in 1973 while racing. They are also considered to be the first of a generation of great Finnish middle and long-distance runners (and subsequently, other great Finnish sportsmen) often named the ‘Flying Finns’. Another long-distance runner, Lasse Virén (born 1949), won a total of four gold medals during the 1972 and 1976 Summer Olympics.